Thanks a ton, Jas for considering me worthy of these. I am truly humbled and honoured. So, as per the rules, I have to state 7 random facts about myself. I have done the random facts earlier too but here are some new ones. I panic very easily though I put on a brave face. Filling up official forms and signing at multiple places gives me jitters. I am always apprehensive of making a mistake. I have a fetish for collecting good quality polythene bags- the fancy ones you get at the big stores. I like to browse through beauty products in a store even though I may not buy them.And, I hate those help who remain close on your heels and breathe down your neck giving unsolicited advice. I am (or rather used to be ) a very punctual person. It is sometimes difficult to keep up with the agreed time with a toddler in tow. Now, to pass on the awards. I pass on these to some wonderful bloggers, some of whom I know since the time I started my blog and some of whom I have had the good chance to discover recently. Wow! I am surprised to see my name on the list :) Thank You for thinking me as worth it! Thanks so much Uma!! It's a surprise indeed, will do my best to live up to the confidence you bestow! Oops! I did not notice your name, Vibha here! I also mentioned you in my post! Thanks for the tag - will do it soon, Uma. congratulations Uma :) I love to travel too,same pinch! Congratulations Uma....a very well deserved award! I saw every one else's but Mine.... thank you sooo much Uma. I cannot tell you how big a smile is there on my face right now!! Am overwhelmed!! Thank you so much Uma .. Glad you found my writing worthy of this ..
Will surely take up the tag ..
Another award??! WOW! I mean, Thanks! it is an honour that you find it worthy enough to bestow another award upon me. 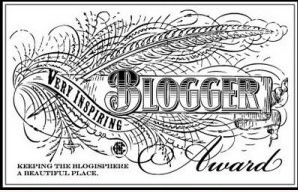 I am totally soaking in the lovely feeling of a blog award! :) Thanks a lot Uma! sniff sniff! 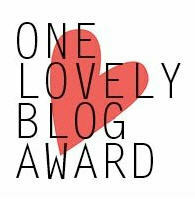 One lovely blog award. If I got one of that before you gave it to me, I would have passed it on to you. 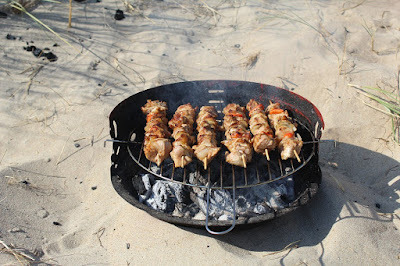 'My Musings' really is one lovely blog, I swear. Congratulations on the awards and thank you so very much for this honour. Have a great weekend. Divya, that's such a wonderful thing to say...am touched to hear that! same pinch on the first one! !